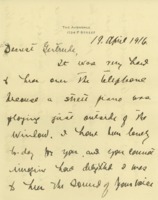 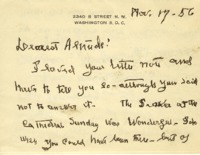 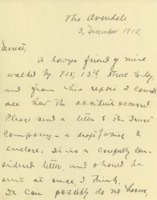 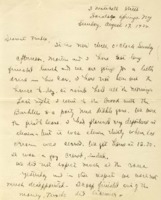 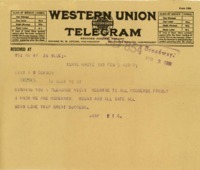 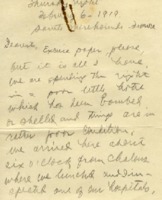 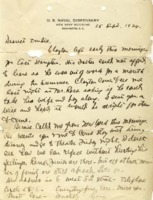 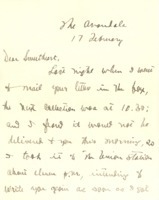 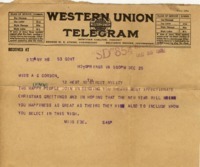 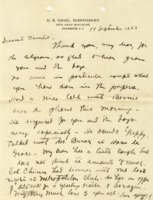 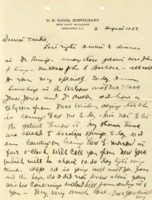 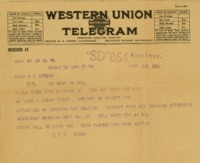 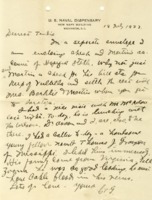 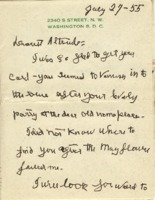 To is exactly "Grayson, Alice Gertrude Gordon, 1892-1961"
Ray Stannard Baker asks if he can send Easter toys for the Grayson boys. 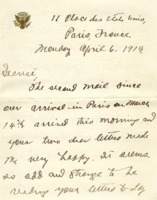 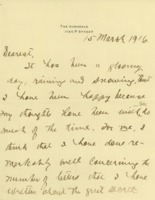 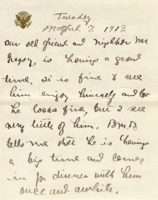 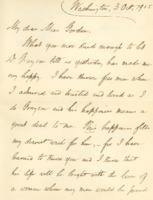 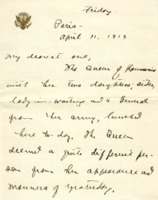 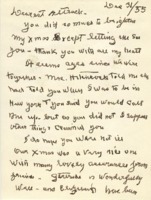 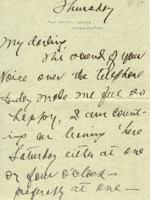 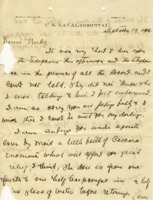 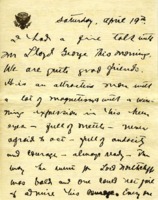 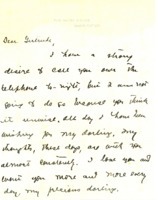 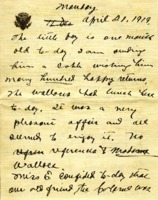 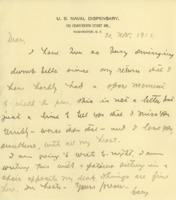 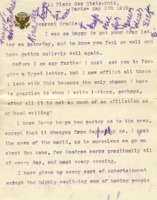 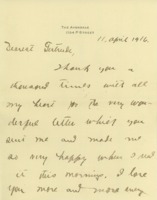 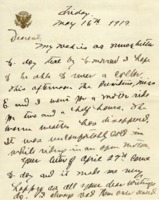 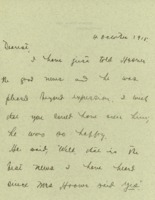 Cary Grayson writes to his fiancee telling her he misses her and is looking foward to seeing her soon. 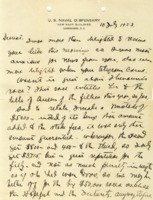 This letters informs Alice Gordon Grayson of the refund from the Architect’s Small House Service Bureau for plans 6-A-91 and 5-D-31. 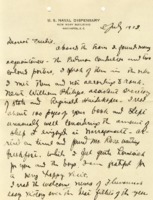 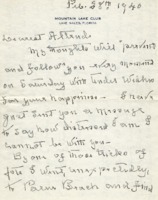 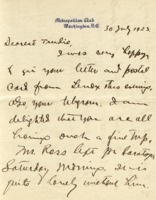 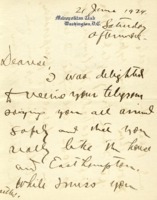 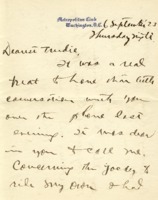 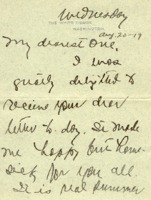 Edith Bolling Wilson is glad to have received Alice Gordon Grayson’s card after her contact information changed, and she looks forward to her visit in September. 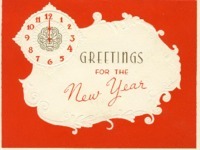 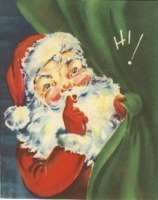 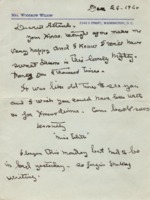 Edith Bolling Wilson thanks Alice Gordon Grayson for the Christmas box. 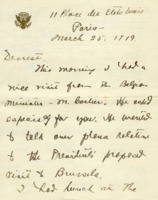 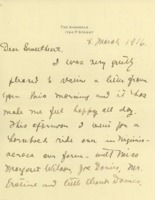 Edith Bolling Wilson looks forward to Alice Gordon Grayson’s visit and wishes her well in the work awaiting her. 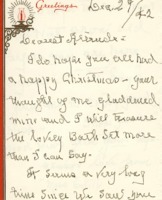 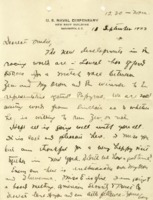 Edith Bolling Wilson thanks Alice Gordon Grayson for her Christmas gift and sends season’s greetings hoping they will visit soon. 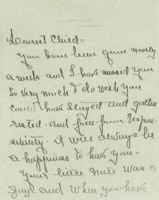 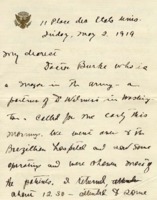 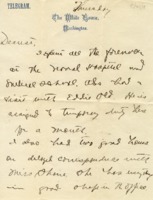 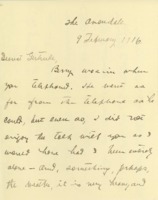 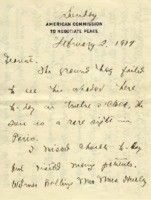 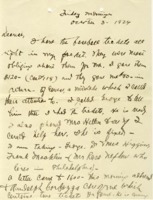 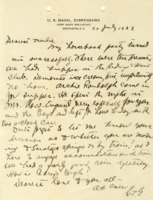 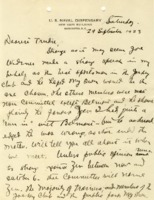 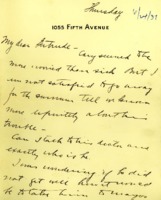 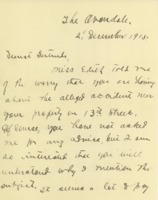 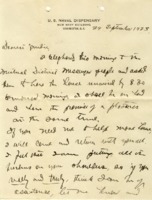 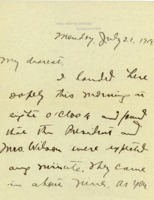 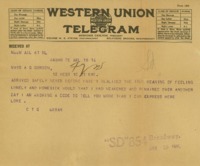 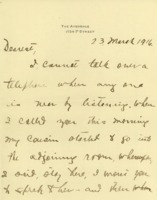 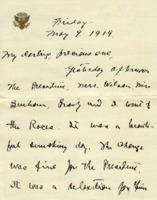 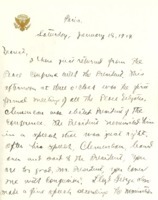 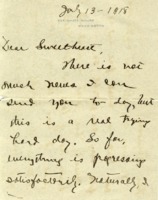 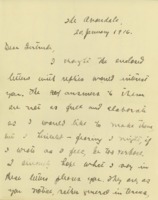 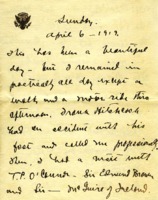 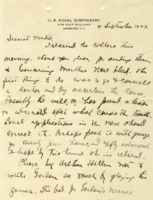 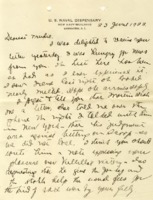 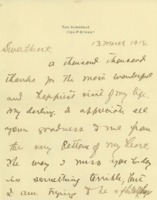 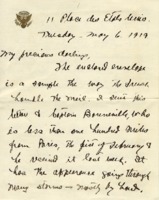 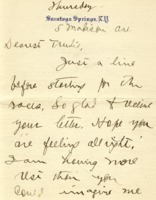 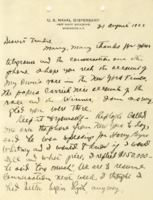 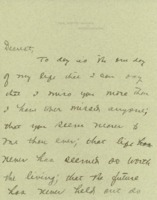 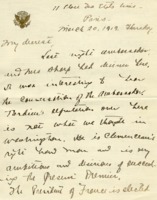 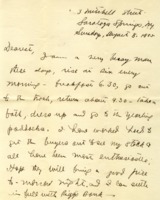 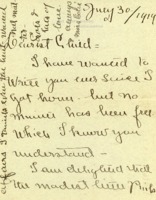 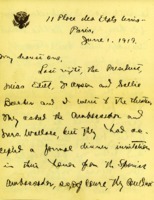 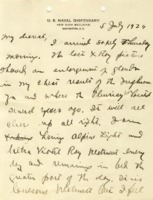 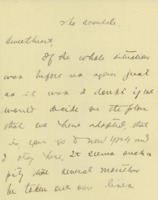 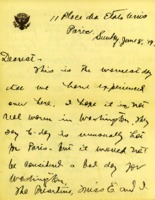 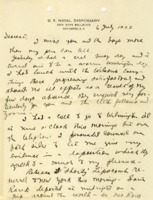 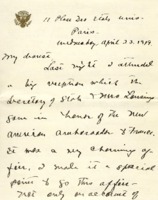 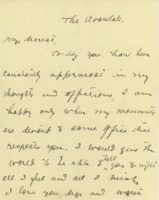 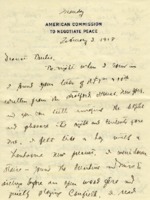 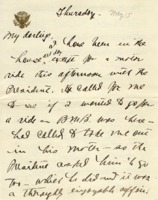 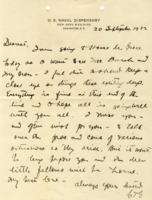 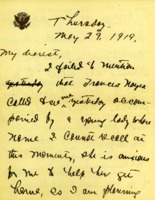 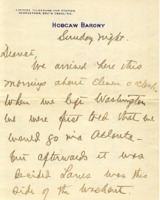 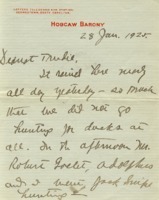 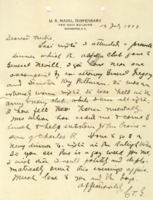 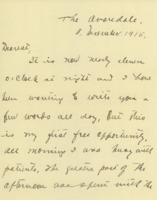 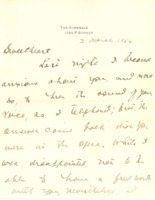 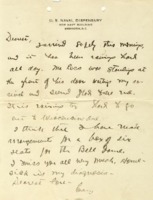 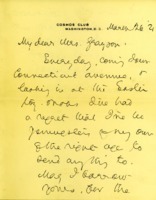 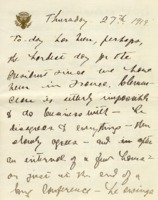 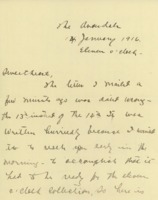 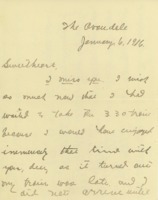 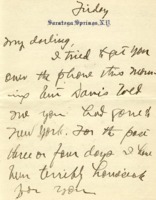 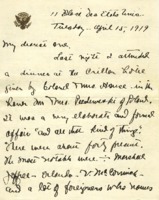 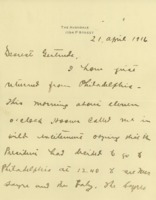 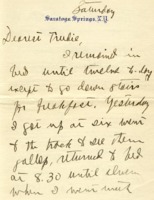 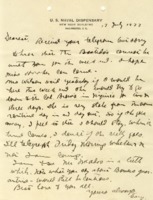 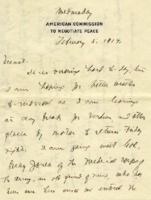 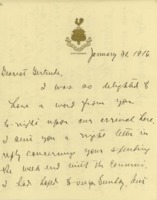 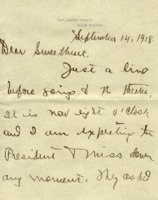 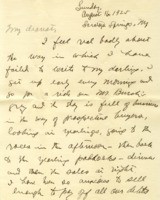 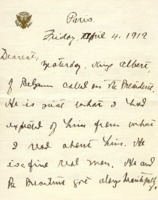 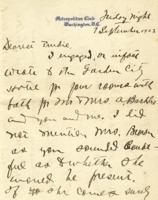 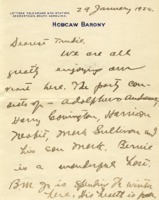 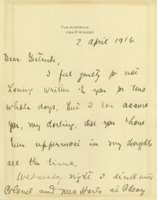 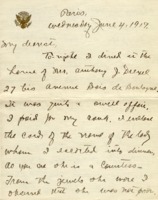 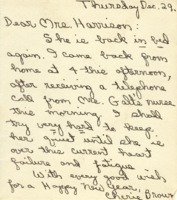 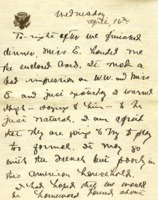 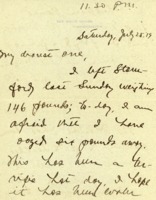 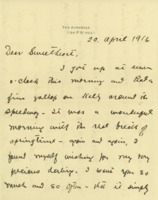 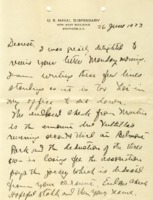 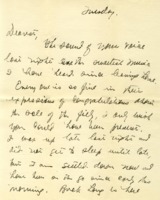 Bernard Baruch expresses concern to Alice Gordon Grayson about Cary Grayson’s health, and thinks they should go to the Mayo clinic if his health does not improve. 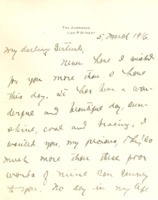 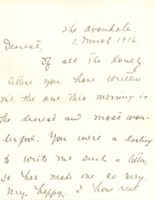 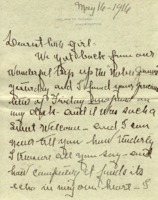 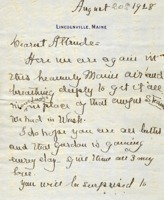 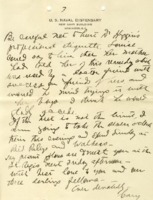 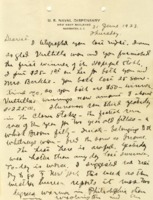 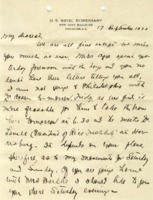 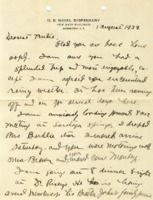 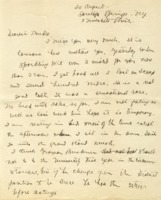 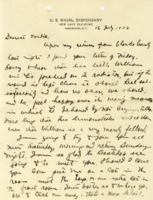 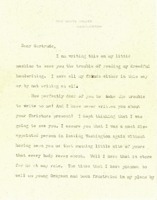 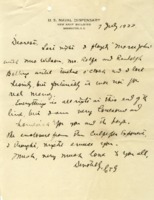 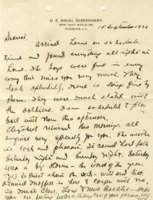 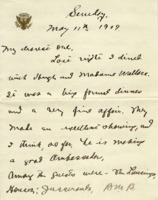 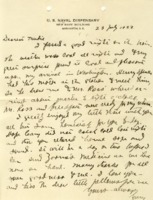 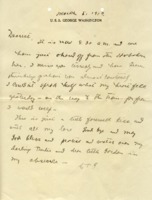 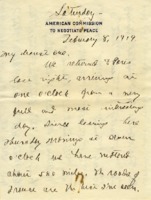 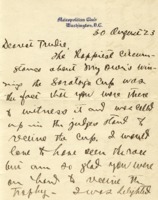 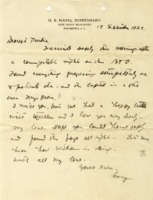 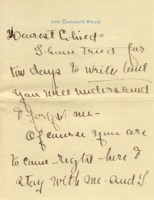 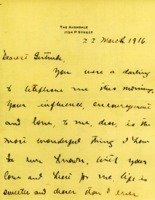 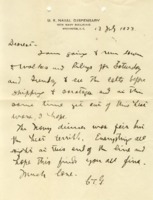 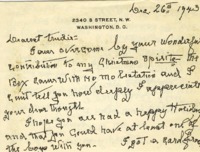 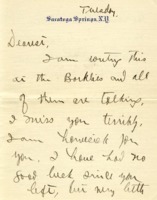 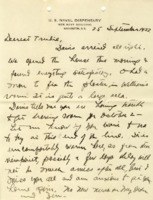 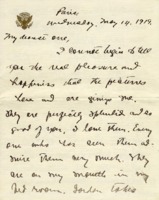 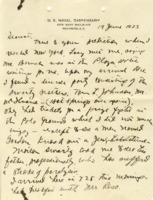 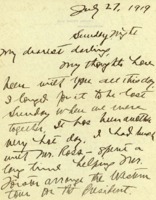 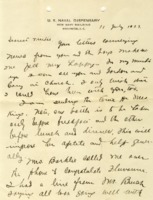 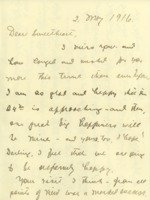 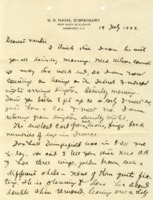 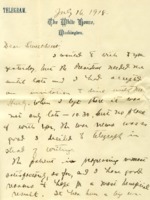 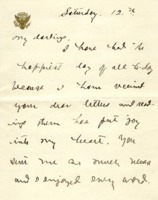 Edith Bolling Wilson writes to Alice Gordon Grayson telling her that my love for you is unlike that for anyone else in the world as she prepares for her wedding to Cary Grayson.